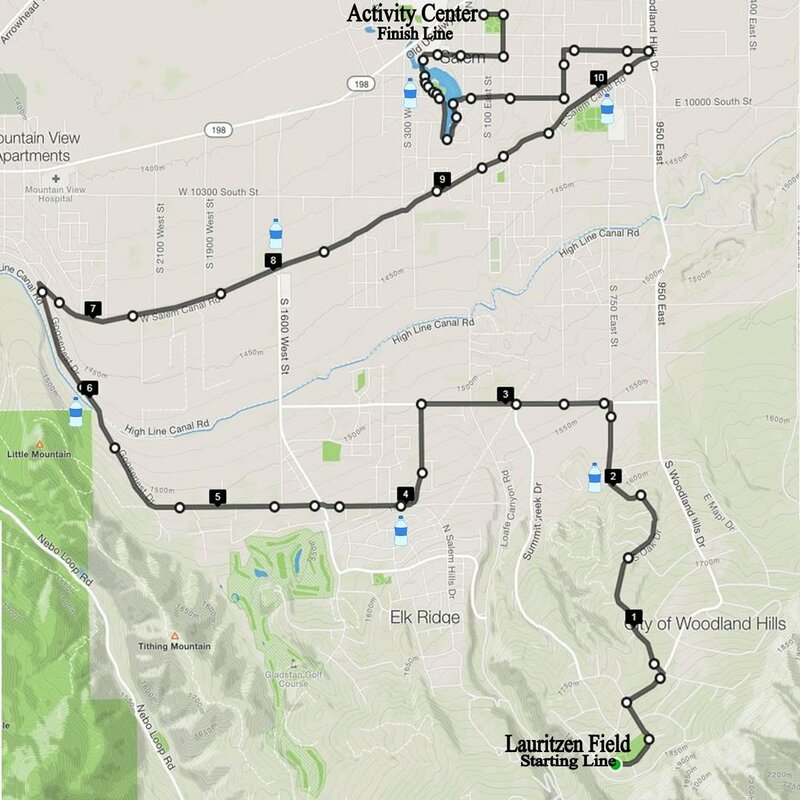 The starting line will be at Lauritzen Field Park in Woodland Hills. The course will then descend South on Oak Dr. Racers will head west onto 11200 and begin the races only climb on Rocky Mt. Road. The course will then cascade on Goosenest dr. and connect to Salem Canal rd. The Course will then wrap around Salem Pond and end at the Salem Activity Center.